Lee Atwater, Tucker Eskew, Joe Sligh et al. 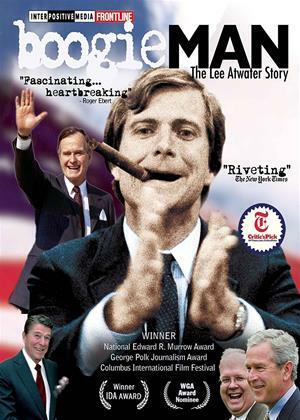 Boogie Man is a comprehensive look at Lee Atwater, the blues-playing rogue whose rambunctious rise from the South to Chairman of the GOP made him a household name. He mentored Karl Rove and George W. Bush while leading the Republican Party to historic victories and transforming the way America elects its Presidents. In eye-opening interviews with Atwater's closest friends and enemies, Boogie Man sheds new light on his crucial role in America's shift to the right. To Democrats offended by his cutthroat style, Atwater was a political assassin dubbed by one Congresswoman "the most evil man in America". But to many Republicans he remains a hero for his deep understanding of the American heartland and his unapologetic approach to politics as war. Director Stefan Forbes offers a timely documentary examining the charming yet Machiavellian; beloved yet reviled godfather of the modern political campaign.